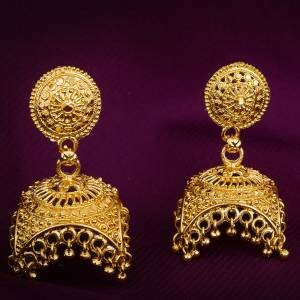 Traditional kundan earrings and timeless and tend to be quite costly as these are made from pure gold. Understanding the budget constraints of its customers, Craftsvilla brings to you a range of gorgeously and intricately crafted kundan earrings that are made of metals like silver to offer you the desired look that too at the fraction of a cost. The designs here feature studs, balis, danglers and a range of other shapes and designs. Each of these trendy kundan earrings is crafted with finesse and loads of attention to the details, which makes them even more attractive. 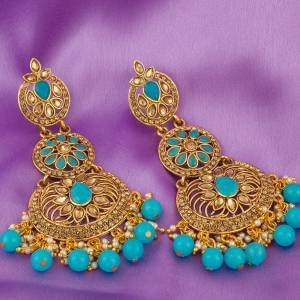 If you want to buy affordable kundan earrings that last for years to come and also go well with different ethnic and indo-western outfits then this is the place to shop. You will easily find here something that suits your taste, budget and also the shape of your face. There are beautiful danglers available that feature semi-precious stones of kundan in white and silver. They are perfect for your gowns or even wedding sarees. For something more casual there are the studs and tops made of alloy metals with semi-precious stones or pearls around them. These beautiful ear pieces jazz up the simplest of the occasions. With so many kundan earrings for sale, you will definitely get tempted to buy more than one. 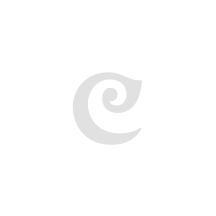 Confusion and temptation are quite obvious with the plethora of choices you have here at Craftsvilla. 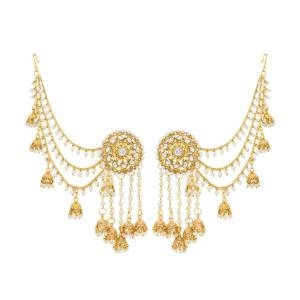 However, it is best to plan out your kundan earrings shopping. 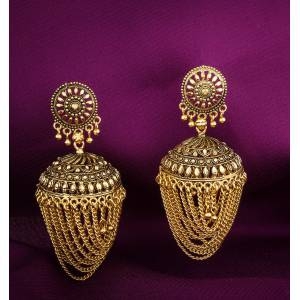 1)Think about the occasion you are planning to wear these earrings. 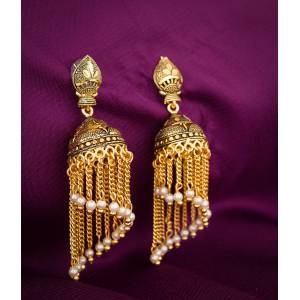 The jhumka or bali kundan earrings are perfect for more formal purposes like a wedding. Something like studs works well for functions like mehendi. 2) Also, take into account your outfit. Whether you want stone kundan earrings complimenting your attire or something in pearl or sterling silver or golden coating. 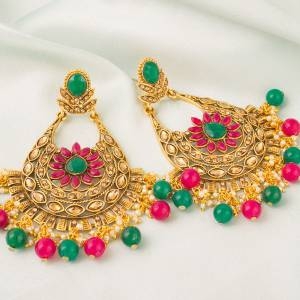 On the other hand, you may opt for picking something very plain and with simple kundan work to keep these earrings more versatile. 3)Always plan to buy different kinds of shapes and styles. Obviously, you will never want to get earrings that are too similar in look. So think of buying multiple products with a few stone styles and some in pearls and a few with kundans. 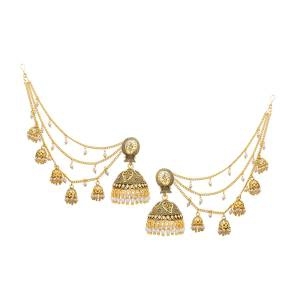 Then there is also the choice of silver kundan earrings or gold kundan earrings. Also, do remember that these kundan earrings for sale are for a limited period and you wouldn’t want to miss out on good deals. So add them to the cart and order them before they are gone.